AutoCAD software has entered to field engineering and manufacturing firms like a bang. This software is designed to make the field of mechanics more legible. In today’s age every industrial entrepreneur feels incomplete without the knowledge of this software. It has made the lives of engineers and technicians much easier. Scroll below to know more about PDF to DWG conversion. 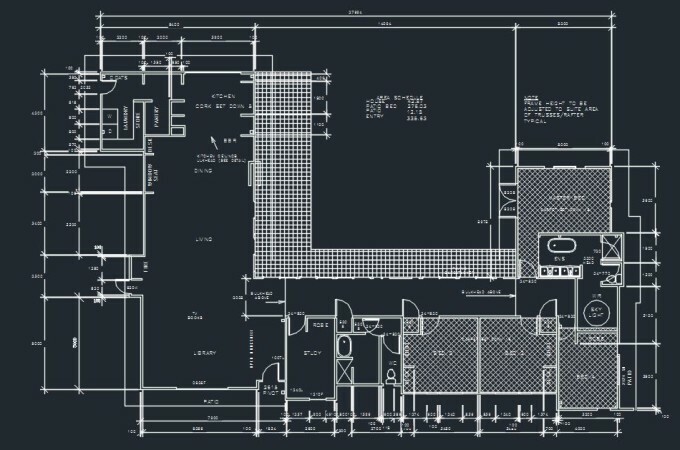 AutoCAD software is designed to handle DWG files. Files of all other formats cannot be used in AutoCAD. Mostly mechanical, electrical and architectural designs show up in your computer as PDF files. You have companies like Chemionix e-solutions Pvt. Ltd which are well trained to deal with such files. PDF files are not designed for the purpose of reading technical drawings. These files cannot be changed according to your convenience. AutoCAD software does not have the ability to use these files. You can only use these files for the purpose of reading. They do not give you a comprehensive approach towards the plan. Digitally speaking, these files are useless in the industrial world. They do not offer the option of modifying a file layer by layer. These files are specifically designed to read technical drawings. When you use these files you can edit and change them according to your convenience. 3D visualization becomes much easier with these files. CAD tools are specifically designed to handle DWG files. Companies like Chemionix e-solutions Pvt. Ltd have professionals who are skilled at providing their clients proper PDF to DWG conversion services. This helps them and their clients exponentially. An honest firm provides its clients with all the options possible. Handing the clients DWG files helps them in making the changes which they feel necessary in their plans. As an entrepreneur you should hire a service which is honest and gives you all the possible options. The professionals that you hire should provide you with cheap and affordable services. They should provide you with the opportunity to make as many editions as you want. They should provide you with PDF to DWG conversions, so that you can make all the alterations according to your requirements. When you convert a PDF file to a DWG file, you make the file portable and it can be edited according to your convenience. However, converting a PDF file to a DWG file is not so simple. You need trained professionals who are skilled in handling AutoCAD software to make this conversion. They make sure that the file is converted in the correct fashion. They make sure that all the conversions are accurate. You need professional draftsmen who have the skill to clear the mistakes which take place during an automatic conversion. You have companies such as Chemionix e-solutions Pvt. Ltd provides you with expert draftsmen who handle the cumbersome activity of PDF to DWG conversion. If you need the best DWG Conversion Services, then you should definitely hire them.